In 2016, I was on Shodoshima to enjoy the art for the Setouchi Triennale. I was cycling in Sakate and Hishionosato when it became lunchtime. I knew from my experience that I had to eat lunch before 2 p.m. or nothing would be open. I stumbled upon Yamasan Shoyu Kojo Chokubaisho while checking out Hut with the Arc Wall. Yamasan was basically a shop connected to the Yamasan soy sauce company with various goods related to the company being sold there. 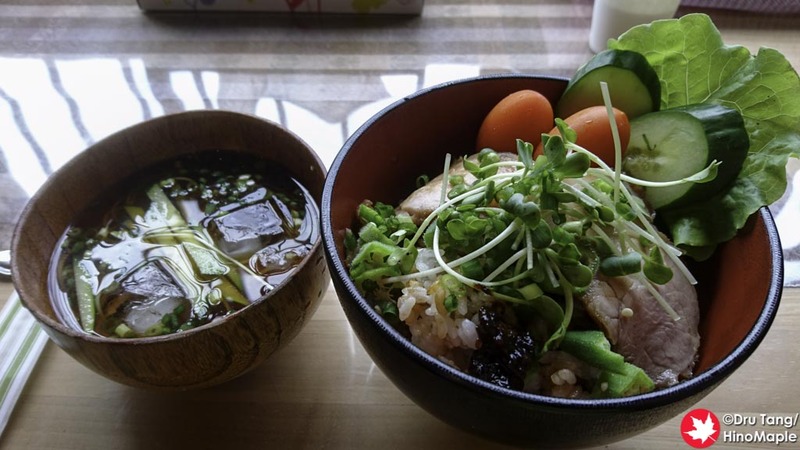 I was happy to have found Yamasan as I was able to try a new dish that is only on Shodoshima. The Hishionosato area of Shodoshima has a special dish called Hishiodon. Hishiodon is a local food that was created by a travel company in Japan in order to promote tourism to the area. It doesn’t have a lot of history but it really showcases the local products of the area. Hishiodon basically has only a few requirements: 1. you must use Hishionosato soy sauce or fermented soy sauce; 2. you must use local ingredients, such as fish, olives, or vegetables; 3. olives or tsukudani (fish, seaweed, or vegetables stewed in soy sauce and mirin) must be served as a complimentary side dish. I really had no idea what a Hishiodon was before I went to Shodoshima and I still didn’t know until I returned to Tokyo. It took a lot of research in order to learn exactly what it was. Yamasan was a happy accident where I walked into the shop because I had a place to park my bicycle and it was next to an artwork for the Setouchi Triennale. I was debating whether to go in as the shop itself was not as inviting as I would have liked, but it was definitely a very interesting looking place. The front room of Yamasan is a basic souvenir shop. There were only a few trinkets here and there but all of them looked wonderful. For lunch, you actually order at the front desk and pay before you head to the back dining room where they serve you. The back room was a lovely place and you get a quick cup of tea as you sit down. My Hishiodon came with a small miso soup as well as a jar of Moromi, soy sauce paste that was slightly fermented and aged. The Hishiodon at Yamasan is actually a char siu don, grilled pork, and it was amazing. While the food was not special, it was exactly what my starving stomach needed and I was extremely happy that I stopped by. 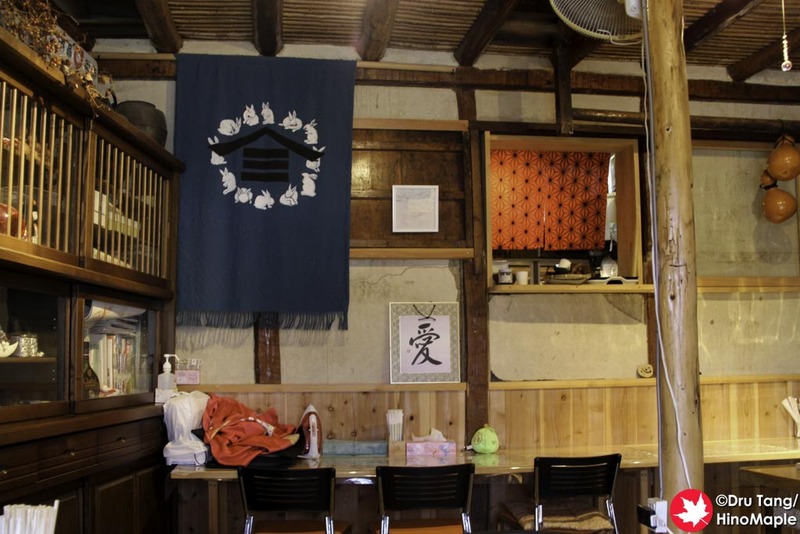 When you are next to Hut with the Arc Wall, consider stopping in at Yamasan for food. Even if you don’t want food, the souvenir shop is really nice to look at and you may find something you want to buy. I was really happy to discover this little place and would happily stop by again in the future. 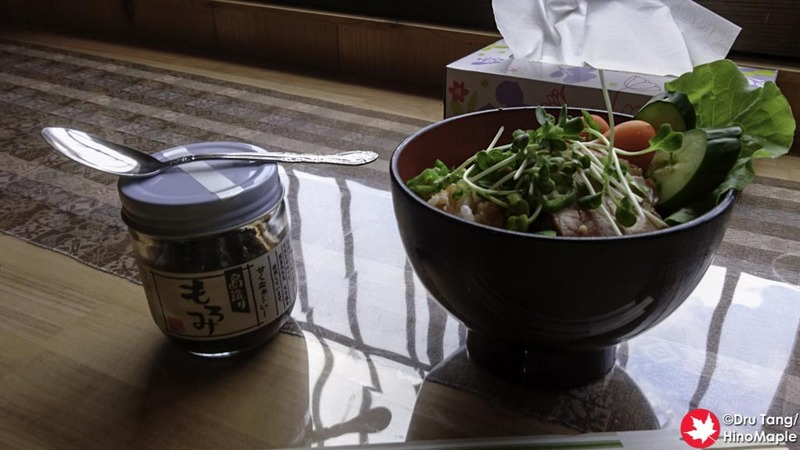 This entry was posted in Shikoku Food and tagged Hishio, Hishiodon, Hishionosato, japan, Moromi, Shodoshima, Yamasan, Yamasan Soy Sauce by Dru. Bookmark the permalink. I have mixed feelings about this place. (note that I never had Hishiodon and had never heard of it before). A few years ago, the shop was very nice with a bunch of local and handmade products (we bought great table-napkins), in recent years, as you mentioned it hasn’t been so inviting. However, last year, as we were in the area, my daughter suddenly wanted ice cream (most likely because she saw the giant plastic ice cream cone in front of the door). We ordered olive ice cream (yes, it’s a thing, and it’s delicious when made properly) and we were served vanilla ice cream covered with olive oil, and that was as gross as it sounds (both taste and oily hands). That kinda pissed me off. Hishiodon, as you read and possibly knew already, is nothing more than a tourist ploy. I did enjoy the fact that they try to keep it local though. Wait, olive ice cream? Maybe I missed it or forgot it. Either way, I don’t think I’ll be going anywhere near that in the future. Thanks for the warning. Is there any “regional specialty” in Japan that is not a tourist ploy (I mean, beyond rice and fish)? 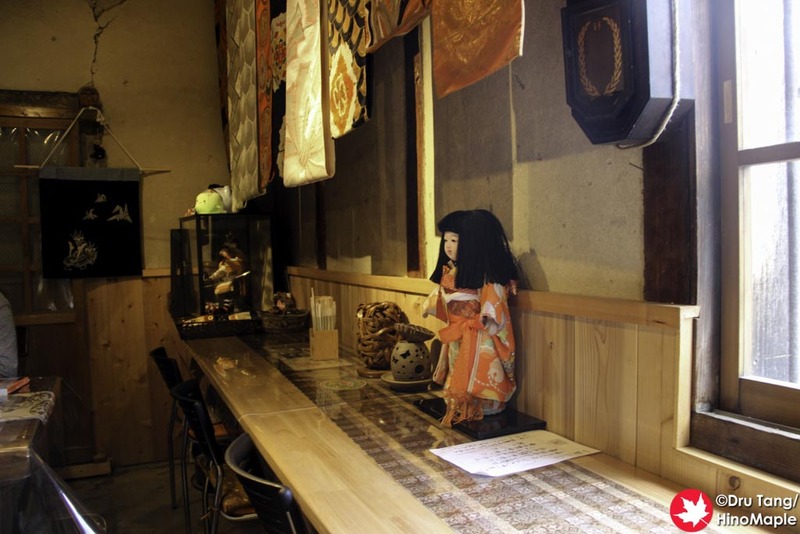 Do you know that even Sanuki udon was originally a tourist ploy? Olive ice cream is awesome, but that’s not what we got there, and that’s what greatly annoyed me with the place when I went last Fall. Okonomiyaki (really? Hiroshimayaki? Is that what you say in Kanto? 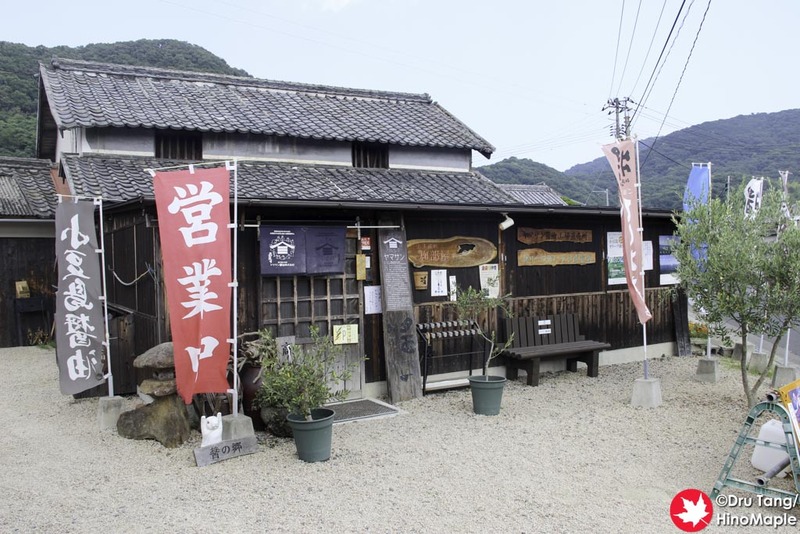 But you don’t say Osakayaki…) is not a tourist ploy, but it’s not exactly traditional cuisine either. It dates from post WW2 if I’m correct. Yup. The only people who say Osakayaki, as far as I know are in Hiroshima. Maybe in your neck of the woods too? Whenever I go to festivals here, Okonomiyaki is used often but Hiroshimayaki is more specific to the Hiroshima style. As for traditional, how long does it take to get traditional? I know wine is completely different but I can’t use any examples in America. Hot dogs and burgers are different everywhere but they aren’t used as some tourist ploy most of the time. They are just what they are. That was what I was getting at. How long does it take before something become “traditional”? I don’t think there are rules about that, but I’d say 150-200 years (completely intuitive answer backed by no facts whatsoever). 150-200 years? Not so bad. I figured some people would say 500-1000 years. My first gut answer was actually closer to 500-1000 years. But truth is that what we eat nowadays, even traditional food, is vastly different than what people ate then. For example, sushi was invented during Edo. In France, meat based dishes were almost the exclusivity of the aristocracy until the late 1500’s.